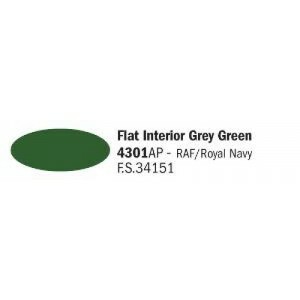 FLAT GREY GREEN F.S. 34151 Inhoud 20 cc/ml..
FLAT ORANGE F.S. 32246 Inhoud 20 cc/ml..
FLAT DARK EARTH F.S. 30118 Inhoud 20 cc/ml..
FLAT MIDDLE STONE F.S. 30266 Inhoud 20 cc/ml..
FLAT LIGHT BROWN F.S. 30219 Inhoud 20 cc/ml..
FLAT MEDIUM BROWN F.S. 30111 Inhoud 20 cc/ml..
FLAT AZURE BLUE F.S. 35231 Inhoud 20 cc/ml..
FLAT LIGHT GREEN F.S. 34230 Inhoud 20 cc/ml..
FLAT DARK SLATE GREY F.S. 34096 Inhoud 20 cc/ml..
FLAT EXTRA DARK SEA GREY F.S. 36118 Inhoud 20 cc/ml..
FLAT MEDIUM SEA GREY F.S. 36270 Inhoud 20 cc/ml..
FLAT MEDIUM GREEN (I) F.S. 34092 Inhoud 20 cc/ml..
FLAT OLIVE DRAB F.S. 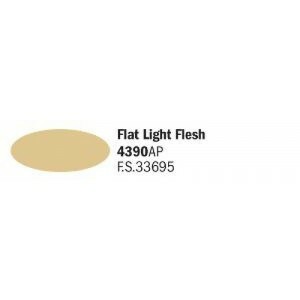 34088 Inhoud 20 cc/ml..
FLAT LIGHT FLESH F.S. 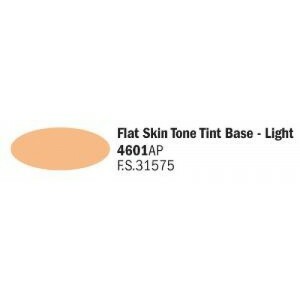 33695 Inhoud 20 cc/ml..
FLAT SKIN TONE TINT BASE- LIGHT F.S. 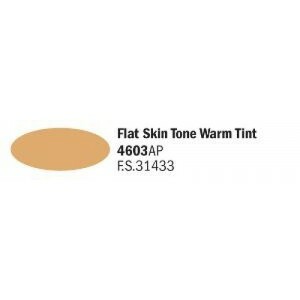 31575 Inhoud 20 cc/ml..
FLAT SKIN TONE WARM TINT F.S. 31433 Inhoud 20 cc/ml..
FLAT NON SPECULAR SEA BLUE F.S. 35042 Inhoud 20 cc/ml..
FLAT MEDIUM BLUE F.S. 35095 Inhoud 20 cc/ml..